HAVANA, Cuba – U.S. President Barack Obama, who visits Cuba in a week, promised dissidents he would directly discuss human rights issues with their president, Raúl Castro, in a letter published Sunday. 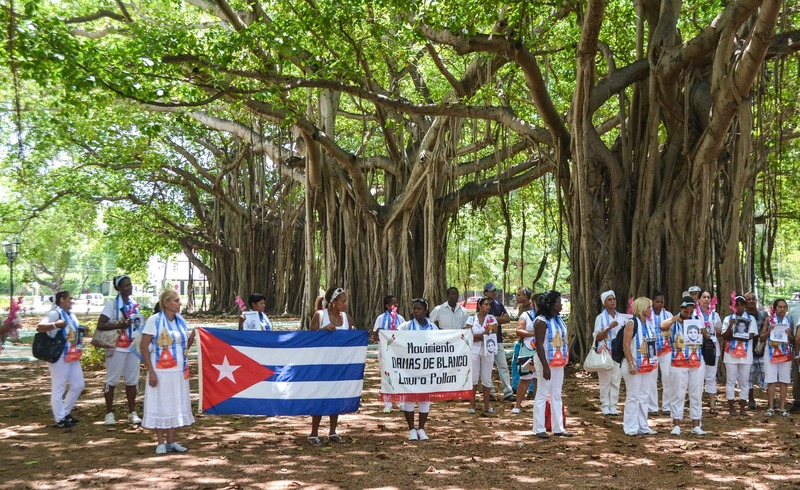 Obama told the Ladies in White, a group of wives and children of political prisoners, that he understood their struggle, in the letter dated March 10 but published online by the dissident organization three days later. “As I have in the past, I will raise these issues directly with President Castro,” Obama stressed. The White House confirmed to AFP that the letter was authentic. When Obama sets foot in Havana on March 20, the White House imagines a “Berlin Wall moment” — a singular legacy-gilding event like Ronald Reagan’s 1987 address before the Brandenburg Gate. While Reagan sought to end the Cold War division of Europe, Obama hopes to symbolically “tear down” decades of Cold War antagonism across the narrow Florida Straits. Obama will visit the island March 20 to 22 — the first visit by a U.S. president since Calvin Coolidge in 1928, and a symbolically charged capstone to the rapprochement that he and Castro announced in December 2014. Obama’s Republican foes accuse him of betraying the cause of human rights in Cuba by engaging with the Castro regime, the Americas’ only one-party Communist state. In a bid to fend off such criticism, the White House has announced Obama will meet with anti-regime dissidents in Havana, although it has not given any details beyond insisting that the Cuban government will not be allowed to hand-pick them.